We’re all in a relationship somewhere. 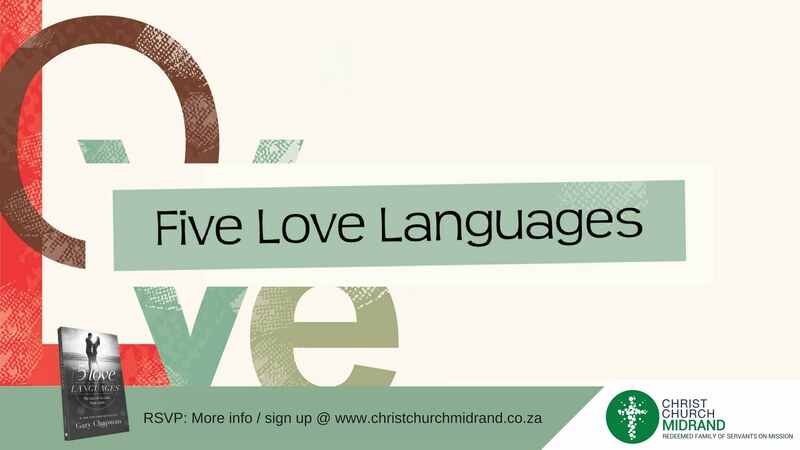 Whether it’s in friendships, marriage or family, we all need help in speaking the language of love. This course helps you discover that there are 5 love languages in the universe. You will find out which ones you speak and which ones those closet to you speak. While this is a bible based course, it is not ‘in your face’ Christian and is a wonderful place to bring un-believers who may not be comfortable in church environments. Friendships matter, marriages matter and family matters to you and to God, here’s a great course to strengthen these.